Back pain can be caused by physical or emotional stress. Or it's a combination of both. Wear or injury of the intervertebral discs or scoliosis (displacement of the spine) causes back pain. This can result from a one-sided posture, too little back muscles, and too little movement. This, in turn, leads to muscle tension - the most common cause of back pain. In a herniated disc or an inflammation, the pain comes from an irritated nerve root. In technical terms that means radicular pain. The pain can radiate from the starting point to other parts of the body. Pseudoradicular pains are very similar to radicular ones but are caused by joints in the spine. Back pain is often accompanied by other discomforts such as limited mobility, sudden stabbing pain or muscle pain. Back pain can also be predicted by muscle tension, fatigue, and limited mobility in the morning. The individual complaints and especially the perceived restriction due to back problems vary depending on the workplace and personal daytime organization. 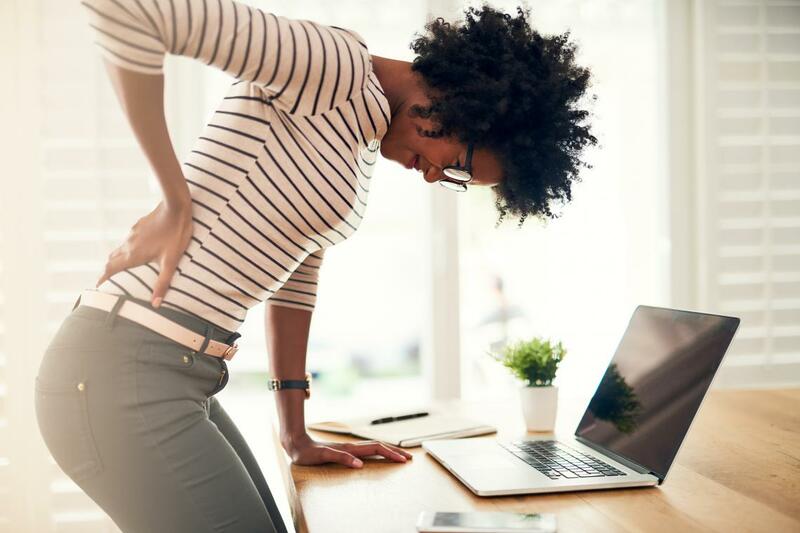 Back pain can also be the result of back injuries such as bruises or strains or even a symptom of a disease such as kidney pelvic inflammation. If in doubt, you should always consult the doctor for back pain, to clarify the specific cause. Back pain is particularly common today as a result of our modern, low-mobility lifestyle. For many, sports and exercise are the exceptions rather than the rule, with more and more people spending eight hours or more sitting in front of their computer. And who always pays attention to the right seating position? The result may then be muscular tension, which may ultimately manifest itself in unpleasant back pain. Watch the video above for tips about a healthy back. UC San Diego Health's Dr. Douglas Chang shows us seven simple exercises that can help prevent lower back pain.